The Jimmy Jib Triangle is a lightweight, modular Camera Crane that comes equipped with a two axis Remote Head System capable of handling film and digital format cameras. It was designed to handle an Arri 435 with a 400ft mag and prime lenses at full extension. It is a cost effective way of obtaining ‘the money shot’ when compared with most other remote head systems. 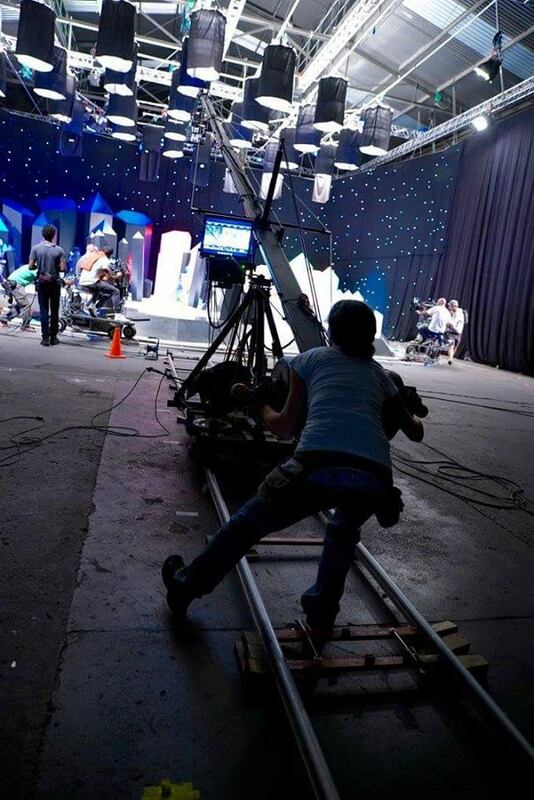 The Jib is quickly and easily repositioned using off-road wheels and can also be mounted on a Skateboard Dolly for use on standard Track for tracking shots. The equipment’s small footprint and light weight make it ideal for use on tracking vehicles and in tight or difficult environments like rooftops or cliff edges or anywhere where weight and or space are a potential issue. The cameras listed below are some of the more popular formats used but certainly not a comprehensive list. 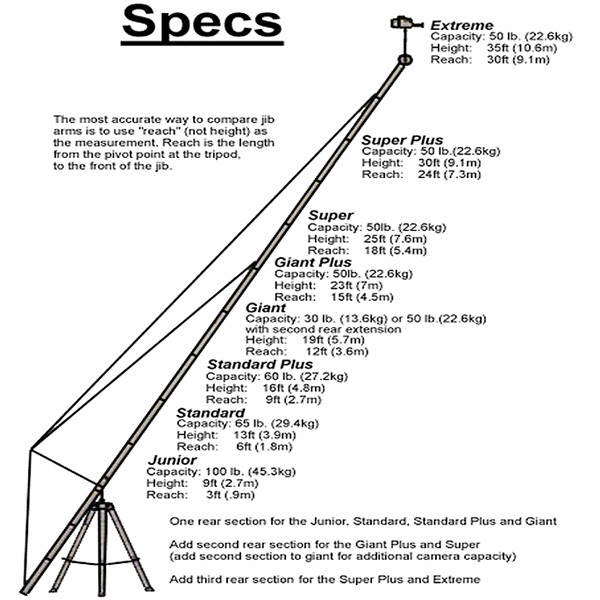 Please enquire should you be uncertain of your camera systems compatibility with the Jib.